How to earn more by washing pets and addressing vehicle messes animals can make. Most drivers that visit detailing and car care businesses regularly do so because they value their vehicles, and they want to protect their personal investment. That said, if there is one thing many customers may spend more on than vehicle upkeep, it would be pet care. 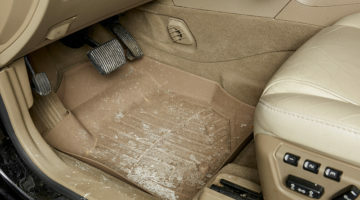 Because of this, many savvy carwash and detailing location owners are looking to become multi-service businesses that can clean pets as well as the vehicle messes that pets occasionally make. By investing in new pet wash technology and offering quality, pet-friendly interior detailing services, operators can give potential customers multiple reasons to choose a car care business and to spend more money once on-site. First, learn what factors experts say have driven the crossover popularity of carwashing and pet wash facilities. Next, find out more about the common pet problems detailing services address to attract and serve local pet owners. “In terms of what the dog wash can do, it’s more than just a simple rinse,” says Paul Fehrenbacher, co-founder and CEO of Mutt Jackson, which is a distributor for Tru Blu Dog Wash, an Australian manufacturer of the K9000 Self-Service Dog Wash. Pet wash equipment that can be installed in carwashes, detail locations or elsewhere provides customers the ability to rinse, wash with flea and tick shampoo, perform a disinfectant rinse, apply conditioner and blow dry their pets. Some systems can accommodate any size dog — a 250-pound Great Dane all the way to the smallest Chihuahua can be washed easily and safely. These pet washes call on high-quality chemistry options that are hypoallergenic and natural, according to Fehrenbacher. Pets washed using the equipment smell great for days afterwards. 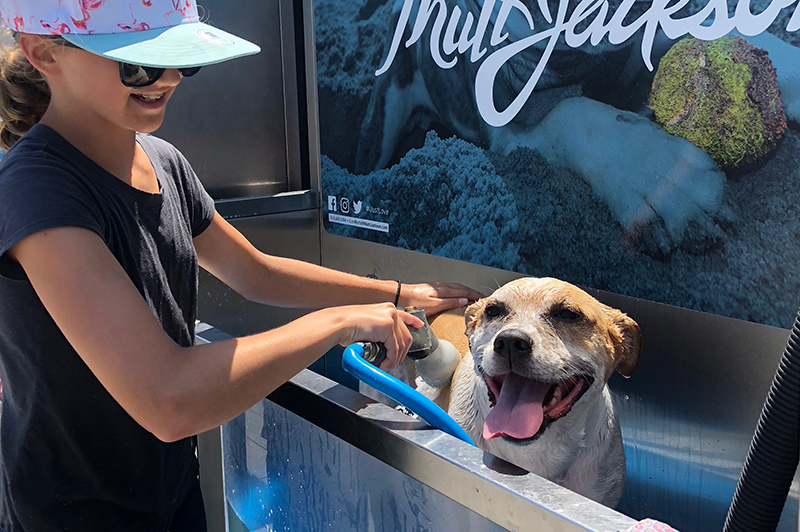 “We found that customers initially love the experience of the dog wash, but then days after when they smell their dog, they realize how great the service truly is,” Fehrenbacher states. Similar to using a self-serve carwash, the customer selects the pet wash options that he or she wants to use, and the wash timeframe is traditionally 10 minutes. Owners can change the wash’s time cycle, if needed. The price point that Fehrenbacher has seen pet wash owners charge for a 10-minute wash is anywhere from $10 to $25. Further, some locations charge slightly more for usage on the weekends, from $10 to $15, for example. Today, some models of pet washes can support all payment options. While a token system may be standard, additional options include a note reader for U.S. bills as well as a credit card/mobile pay reader, according to Fehrenbacher. Another option that carwashes and detail shops can add to supplement the pet wash revenue is vending machines that sell dog treats, Fehrenbacher notes. Vending products provide an additional purchase option that will be a popular offering next to the pet wash. When a carwash or detail location owner decides to add a pet wash, the distributor will have an equipment inventory available at a warehouse. Fehrenbacher reveals that, in some instances, a unit can be delivered in a matter of days after the order is received. The operator works with the distributor to select all the desired system options. In addition to the payment options mentioned previously, an owner may indicate whether a hot water heater is needed onboard the pet wash or if hot water is already available on-site. Pet wash distributors can also custom brand all the artwork on the pet wash, according to Fehrenbacher. Instead of having the distributor’s unit branding, the system can be branded to be consistent with the existing wash or detail location. In terms of electrical, water and sewer hookup, it’s so easy almost anyone can do it, Fehrenbacher states. An operator would not necessarily need an electrician or plumber to install the equipment. Some pet wash systems have a 1/2-inch water line in and a two-inch drain out to the sewer. In terms of electrical, only a 240-volt connection is needed for some equipment. “It’s a very easy hookup, and the footprint size is reasonable,” Fehrenbacher says. In certain pet washes, the drain to the sewer is designed to make sure that all pet hair is trapped and will not enter sewer lines. In the example Fehrenbacher provides, the dog stands on a non-skid pad, and the water from the pet wash catches the hair and moves it over the pad’s edges. There are three entrapment zones underneath the non-slip pad where hair is caught as the water flows. When it comes to maintenance for stand-alone, vending-machine style locations, Fehrenbacher states that employees can check on the pet wash’s condition once a week — maybe every two weeks depending on how much the equipment is being used. Remove the hair from the entrapment points. Check soap and chemistry levels. If a note reader is included, collect the cash. Ensure that the pet wash itself is clean. Chris Cunningham, co-owner of Left Coast Auto Detailers in Georgia, states that pet hair is the number one vehicle interior issue he sees. His business will work on vehicle interiors dirtied with pet hair multiple times each week. Other pet-related interior issues can include urine, feces or cat spray. These are more serious issues that Cunningham sees once every couple of months at most. Cunningham notes that pet hair removal is an issue that is generally not addressed until the mobile detailer arrives to clean a vehicle. If there is a lot of hair in the interior, sometimes the business will charge the customer a little more. Even so, addressing the hair via a thorough vacuuming is usually included within the detailing package. 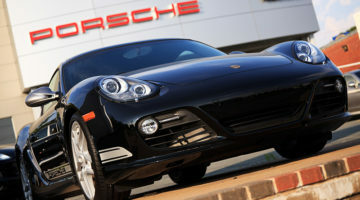 “Our main special includes everything shy of a compete detail, so it’s a very thorough cleaning itself. We try to keep our customers happy and not charge them excessively,” Cunningham explains. For the other pet issues, depending on where the damage or odor issues are, the detailer will approach it in different ways. If the problem is on the seat or a mat, a steaming extractor is used. The extractor applies water at very high temperatures and provides something akin to a deep steam clean. Cunningham states that this process works well to remove most pet issues. “It’s shampoo with extremely hot water and then the very high-powered suction vacuum — it’s like an industrial strength piece of equipment that tends to work very well,” he notes. If the stain or issue is in an awkward spot like a head rest, for example, the business will address it with different cleaning sprays. Cunningham states that the technician will start with an all-purpose cleaner. Next is an extractor shampoo diluted with water applied via a spray bottle. With each, the problem spot is scrubbed with a towel. The final step is a deodorizer follow-up after the cleaning to freshen the problem area. In areas where pet washing has become popular, the systems have succeeded due to a locale’s high density of dog owners. “Excitingly, in this day and age, that is almost every community,” Fehrenbacher continues. “A community of 5,000 people can support one dog wash location.” Thus, large cities can potentially support thousands of pet wash units. The key to success for carwash owners or detailers who have added a pet wash is thoroughly marketing the service to their clientele, Fehrenbacher states. Once the initial wave of existing customers use the system, owners can expect positive word-of-mouth traffic moving forward. Fehrenbacher reveals that not only is a pet wash a good idea for a self-serve carwash, but it is also a good fit for multiple wash formats. Even washes and detail locations that offer “white glove” services can benefit as well. “While the customer is getting the car cleaned, he or she can go and use the self-serve dog wash and pass some of the time,” Fehrenbacher notes. Though many models today offer additional bells and whistles, Fehrenbacher warns that new investors should concentrate on selecting a system with a solid and dependable overall design. “If you don’t get the standard design right, then all the bells and whistles are for naught,” he concludes.